Viridian Forest is a large forest located in between Route 2. Here, loads of Wild Pokemon, primarily Bug Types, can be found. 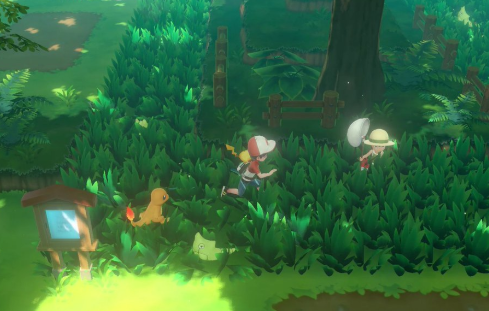 There are also a number of trainers you can face in battle found within Viridian Forest, most of which will reward you with Items, usually Poke Balls, if you defeat them. You must get through Viridian Forest to proceed to the northern portion of Route 2, in hopes of eventually reaching Pewter City. After defeating the Elite Four and starting the Master Trainers Challenge, you will find a couple of Master Trainers within Viridian Forest. In total, there will be two Master Trainers for you to defeat.